We consider a state-constrained optimal control problem of a system of two non-local partial differential equations, which is an extension of the one introduced in a previous work in mathematical oncology. The aim is to control the tumor size through chemotherapy while avoiding the emergence of resistance to the drugs. The numerical approach to solve the problem was the combination of direct methods and continuation on discretization parameters, which happen to be insufficient for the more complicated model, where diffusion is added to account for mutations. In the present paper, we propose an approach relying on changing the problem so that it can theoretically be solved thanks to a Pontryagin’s maximum principle in infinite dimension. This provides an excellent starting point for a much more reliable and efficient algorithm combining direct methods and continuations. 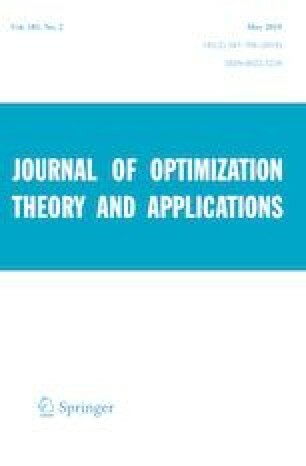 The global idea is new and can be thought of as an alternative to other numerical optimal control techniques. Both authors wish to thank Maxime Chupin, for his thorough knowledge of the modeling language AMPL and the interior-point solver IPOPT, as well as for his valuable help to get us started.